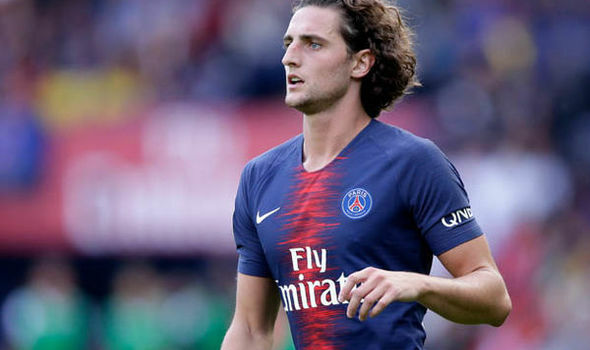 Adrien Rabiot is one of the most coveted midfielders in Europe due to his current contract situation at French giants Paris Saint-Germain.The 23-year-old has been holding out on signing a new deal at Paris due to concerns about playing time and wage rise. This has led to speculations of an exit for the French prodigy as Barcelona were reportedly close to sealing a move for the midfielder in the last transfer window. According to ESPN Liverpool have joined the race for the midfielder and have begun negotiations with the player’s representatives over a summer move on Bosman. It is believed that Liverpool’s manager Jurgen Klopp is a huge fan of the sturdy midfielder and has spoken to the play in a bid to convince him to swap Paris for Anfield. Rabiot will be able to negotiate with other clubs outside France by January, Liverpool have emerged among the favourites’ to land Rabiot. In our opinion, if Liverpool can succeed in swooping in for a midfielder that would be a big coup as a player of Rabiot quality is worth £50 million in this era of inflated transfer fees. Rabiot has racked up more than 220 appearances for the Paris side despite his relative youth.